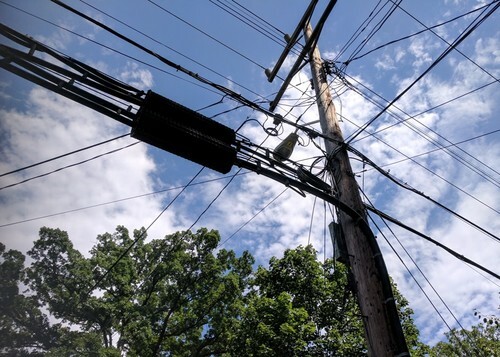 As part of the working group efforts within the FCC's Broadband Deployment Advisory Committee (BDAC), one subcommittee has collected data on telecom pole attachment rates and published the information along with some very early data analysis. The results suggest there is a wide range in the rental fees being charged for wireless equipment attachments, and that fees are significantly higher in unregulated markets compared to regulated ones. This has huge implications for next-generation telecom network deployments, and particularly for the rollout of 5G wireless services. Across all of the data collected, the mean rental fee assessed for wired pole attachments is $17.58 per year, according to this latest study, while the median is $15.56 per year. 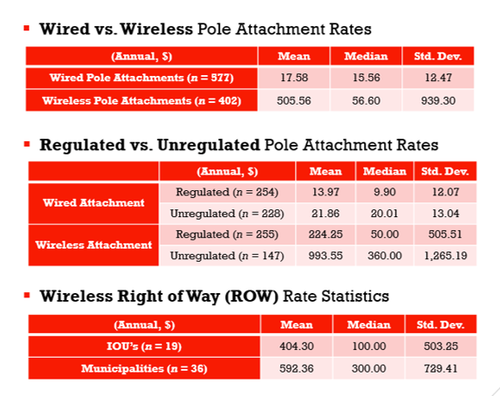 For wireless pole attachments (which typically take up significantly more space), however, the mean rental fee is $505.56 per year, and the median is $56.60 annually. Further, among wireless attachments, the mean rate in regulated markets is $224.25 versus $993.55 in unregulated ones. The median fee is $50 in regulated markets and $360 in unregulated ones. The BDAC was able to gather this data by working with committee member Christopher Yoo, a professor at the University of Pennsylvania, and graduate student assistants in an arrangement where the data is not subject to FOIA (Freedom of Information Act) requests, and where anonymity is protected through non-disclosure agreements. Part of the goal in collecting the information is to inform future discussions on what rates are reasonable for pole owners to charge. As the first 5G rollouts approach, network operators are facing the prospect of deploying substantially more wireless gear than they've had to in the past. And the cost of attaching that equipment is a serious consideration in their plans. The BDAC would like to present a recommendation on how rental fees should be determined going forward. However, so far, the subcommittee reviewing rates and fees has not been able to come to a consensus. Network operators believe rates should be determined on a cost basis, while pole owners, including municipalities, are pushing for market-based fees that also take into account factors like the ability to petition for digital inclusion initiatives. The study data may prove helpful for individual negotiations, but it's difficult to conclude that it will create agreement on a blanket fee policy that the BDAC can recommend. According to Andy Huckaba, a BDAC member and representative of the City of Lenexa, Kansas, there may be a better way to look at the rate debate than by aiming for consensus on a specific rate policy. 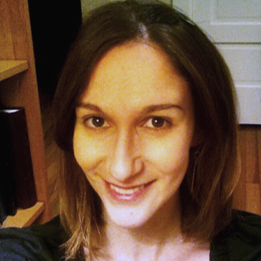 What if, Huckaba posits, there's a litmus test for what's fair and reasonable in a pole attachment agreement? And what if that litmus test is more important than agreement on a target rate goal? As chair of the subcommittee on rates and fees, Huckaba points to the principles his group has defined for fee negotiations, where the goal is not only to get a good deal, but also to promote the acceleration of broadband deployment. Those principles include: creating a fair partnership between pole owners and those renting space; enabling future-proof equipment installations; offering non-discriminatory access to pole assets; making sure that use of the public right-of-way benefits the greater community; promoting a sense of urgency for making broadband available to more people; ensuring that processes are simple and well-defined; and making fee practices clear and transparent. Huckaba believes that looking at fee negotiations through the lens of those principles is important, but he also acknowledges that agreements are still a product of negotiation. And no matter what new policies are recommended, that's not likely to change. As a reference point, Huckaba notes that even in states where there are laws mandating caps on pole attachment rental fees, there is still debate that takes place between pole owners and network operators. That's because fees aren't the only factor in attachment agreements. There are also issues like when, where and how new equipment is deployed. 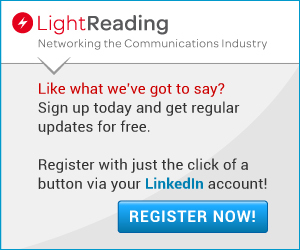 While a single rate recommendation might be preferable for network operators, it still doesn't eliminate all of the complexities or inconsistencies involved in deploying new broadband equipment to meet growing network demands. And no matter the outcome of the BDAC proceedings, that's something that operators are realistically going to have to face for the foreseeable future.